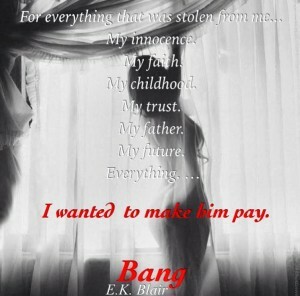 Have you been BANG’d yet? Grab BANG (book 1) for only 99 cents!!! What are you waiting for??? Tell your friends and your book clubs and get lost in the Black Lotus Series today!!! 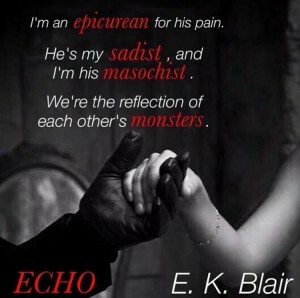 ECHO (book 2) is also out now for only $2.99!!! Don’t miss out on the #1 bestselling psychosexual thriller series!! !